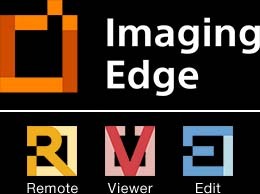 Imaging Edge (Remote/Viewer/Edit) 1.0.01 has been released. Fixed the phenomenon where a black spot may appear at the center of an image when developing a RAW file. Fixed the phenomenon where the shooting date and time does not get included in a JPEG file when a JPEG is output from a RAW file captured with ILCE-9 or ILCE-7RM3. Fixed the phenomenon where a vertical line would appear in images output according to certain conditions when developing a RAW file. This entry was posted in Software and tagged Imaging Edge. Bookmark the permalink. Trackbacks are closed, but you can post a comment.